See Removing the Battery on page 62 See Removing the Middle Cover on page 68 See Removing the Keyboard on page 69 To remove the fan, first remove the screw from the fan and then disconnect the fan cable from the main board by using a plastic flat screwdriver. 5. Remove the other screw from the base of the unit, then remove the fan from the lower case. 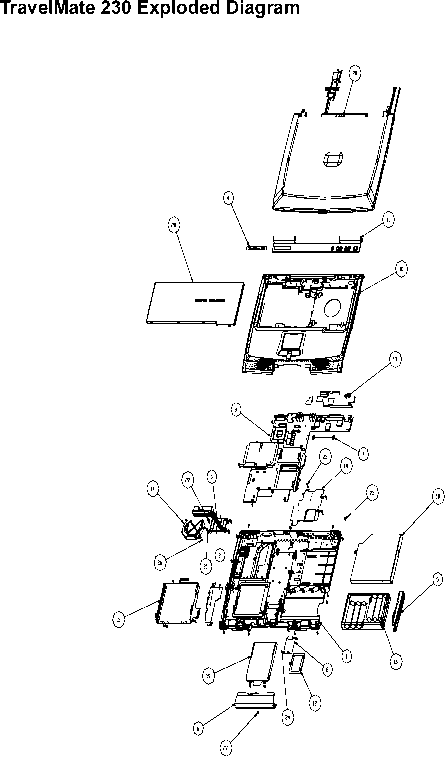 See Removing the Battery on page 62 2. See Removing the Middle Cover on page 68 3. See Removing the Keyboard on page 69 4. See Removing the Heat Plate on page 70 5. Remove the two screws from the base of the unit. 6. 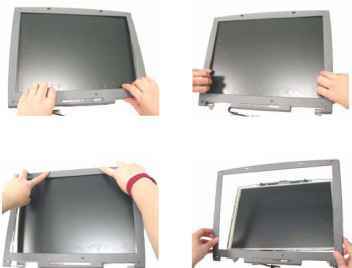 Disconnect the LCD coaxial cable from the main board. 9. Disconnect the launch board cable from the main board and remove it. NOTE Please arrange the inverter cable and the coaxial cable well in the way as shown after you connect them to the main board. See Removing the Battery on page 62 2. See Removing the Middle Cover on page 68 3. See Removing the Keyboard on page 69 4. See Removing the Heat Plate on page 70 5. See Removing the Audio Board on page 85 6. See Removing the CPU Heat Sink on page 80 7. 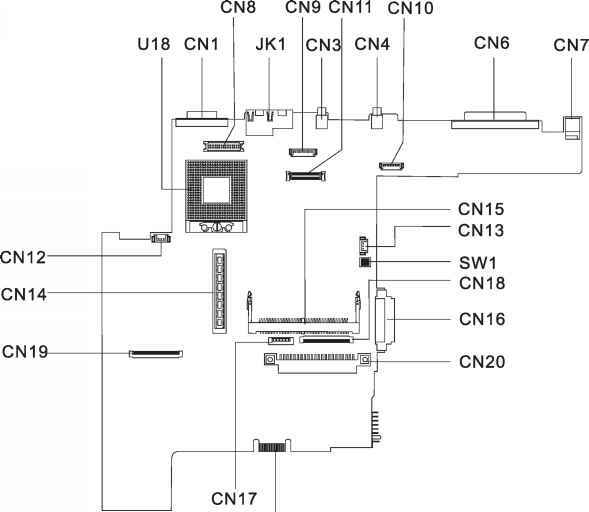 Use a flat screwdriver to unlock the CPU socket counter clockwise, detach the CPU from its socket and then lock the CPU socket clockwise with the flat screwdriver. 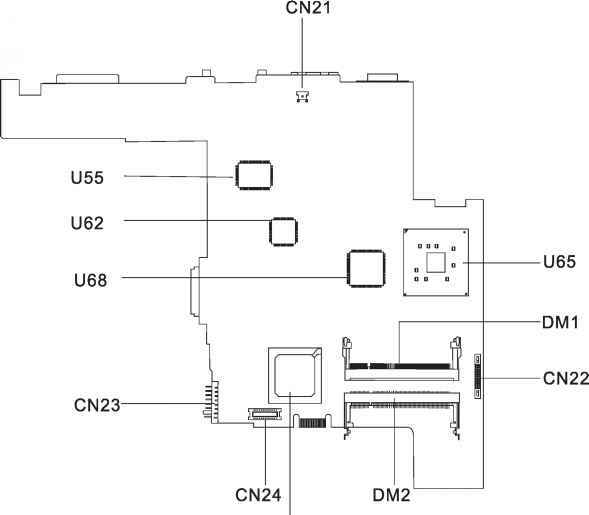 This utility diskette is for the TravelMate 230 280 notebook machine. You can find the utility in Service CD kit. It provides the following functions To use this diskette, first boot from this diskette, then a Microsoft Windows ME Startup Menu prompt you to choose the testing item. Follow the instructions on screen to proceed. NOTE This program contains a readme.txt file. This readme.txt file will introduce each test utility and its functions. 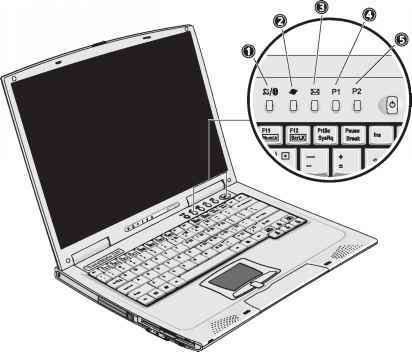 The keyboard has two keys that perform Windows-specific functions. Start button. Combinations with this key perform shortcut functions. Below 6 Tab Activates next taskbar button shift ig M Undoes Minimize All KB R Displays the Run dialog box Opens a context menu same as a right-click . See Removing the Battery on page 62 2. See Removing the Middle Cover on page 68 3. 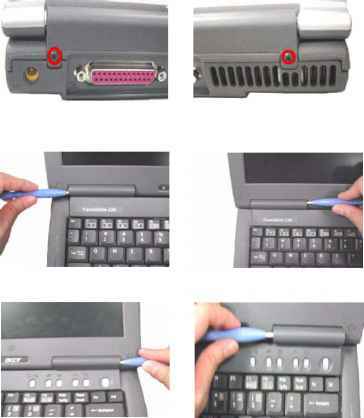 To remove the keyboard, first pull out and upward to expose the keyboard. 4. 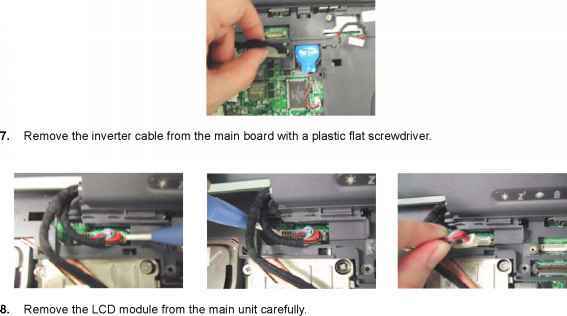 Use a plastic flat screwdriver to help disconnect the keyboard cable from the main board carefully, then remove the keyboard from the main board. See Removing the Battery on page 62 2. 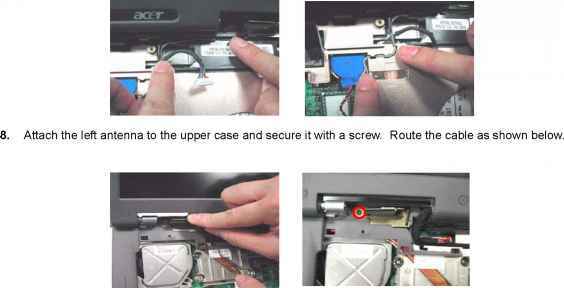 To remove the middle cover, first remove the two screws from the rear of the unit and then pry up the middle cover with a plastic flat screwdriver in the way as shown. 3. Disconnect the launch board cable from the launch board and then detach the middle cover away from the main unit.